My brother is a professional climbing instructor for safety and climbing gear and we’ve both been working together on finding ways to visually improve training material. 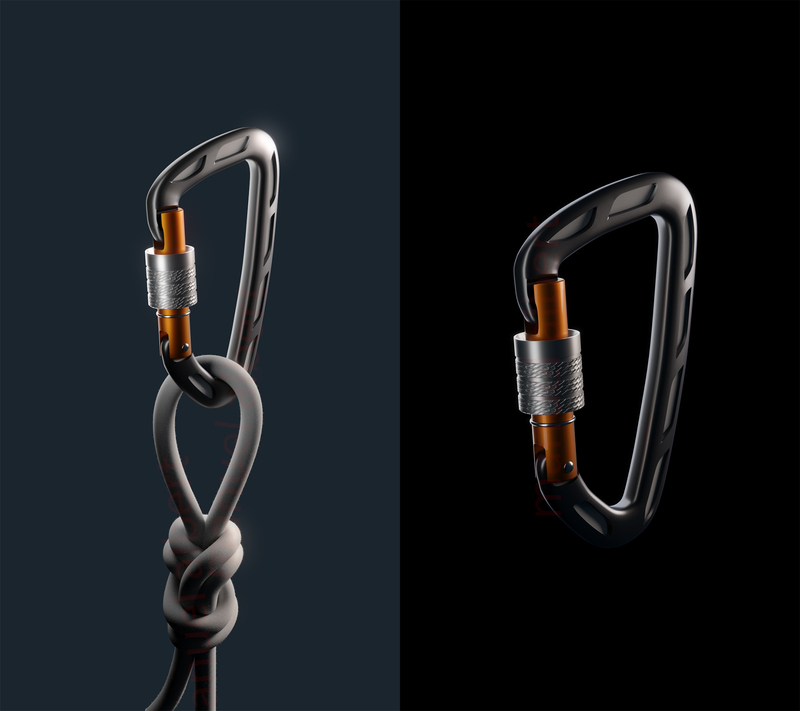 This product visualization is a quick test to see if modelling climbing gear (in this case a Skylotec carabiner) in 3D would be an economic and visually asthetic option. I think the test, including modelling, shading, lighting and rendering the carabiner with and without rope, turned out quite well as it only took roughly 4 hours to complete. Personal productvisualization test of @skylotec carbine (fan-art). Modelled, shaded, lit in #b3d rendered with #filmic_blender and cycles.